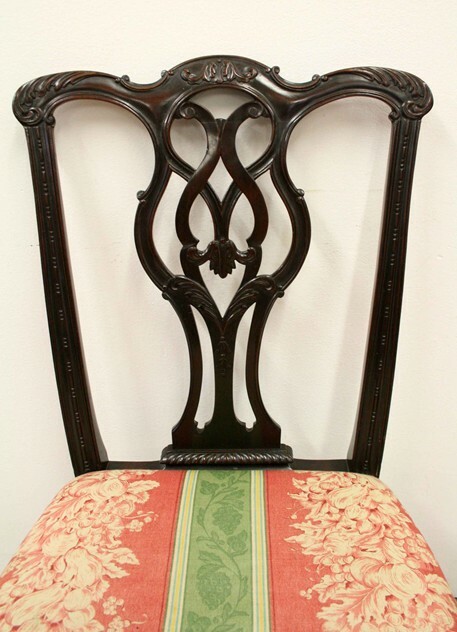 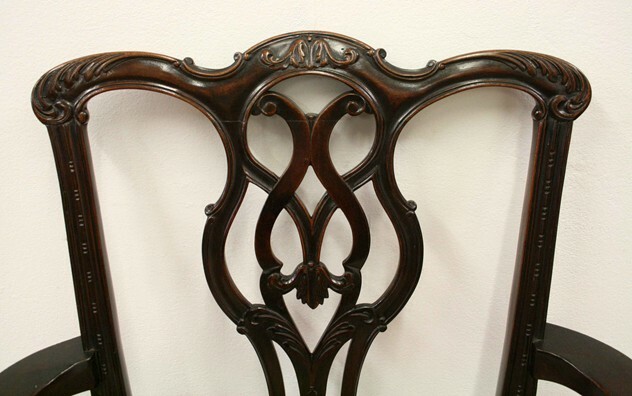 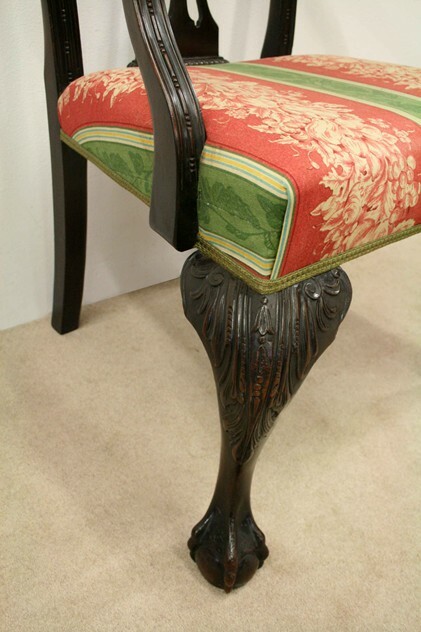 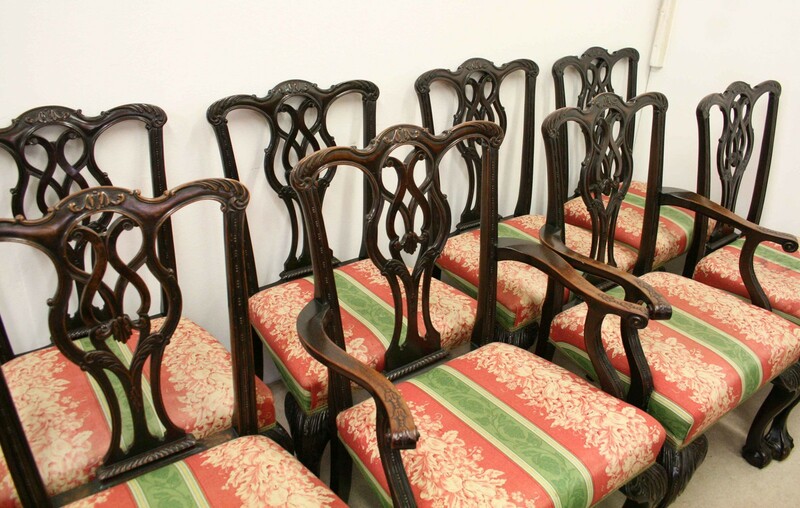 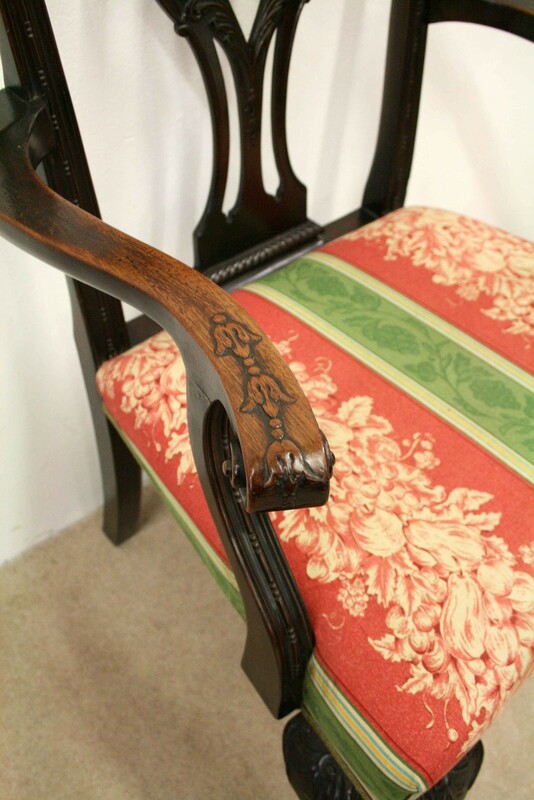 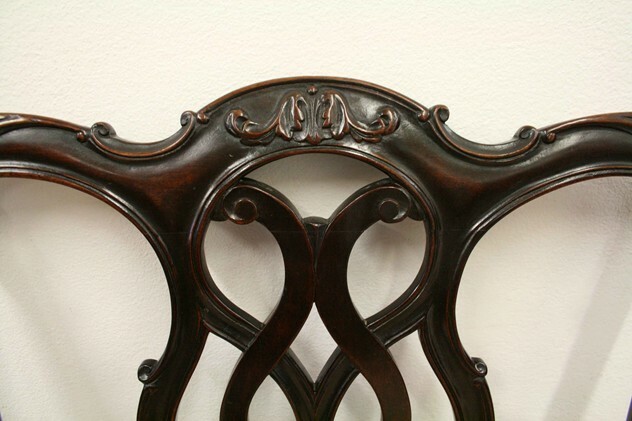 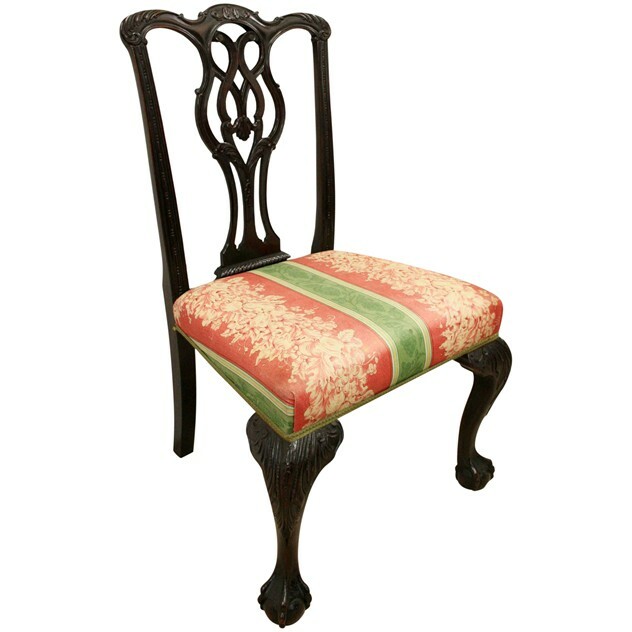 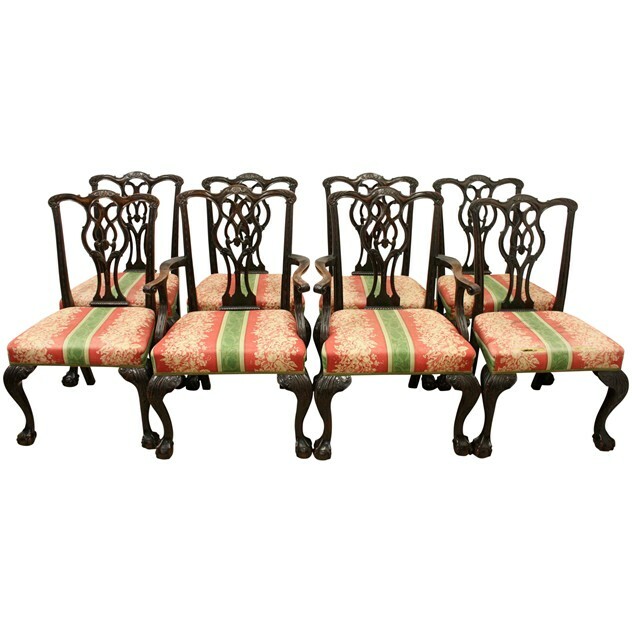 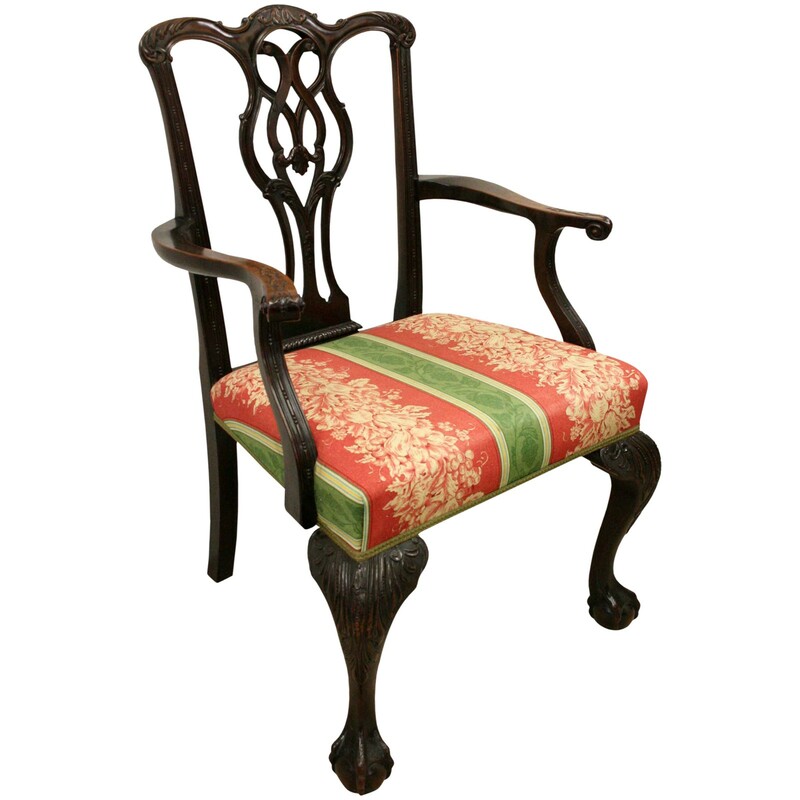 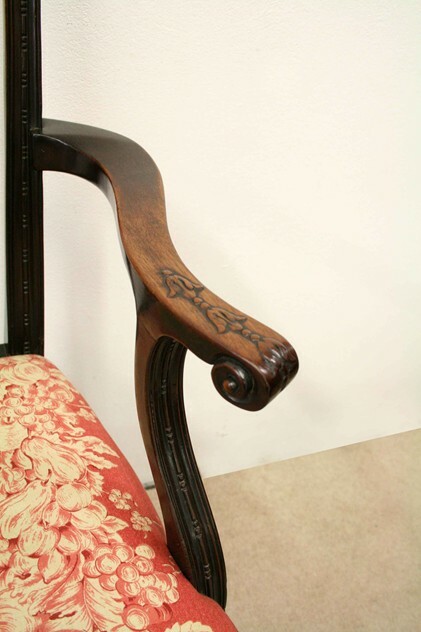 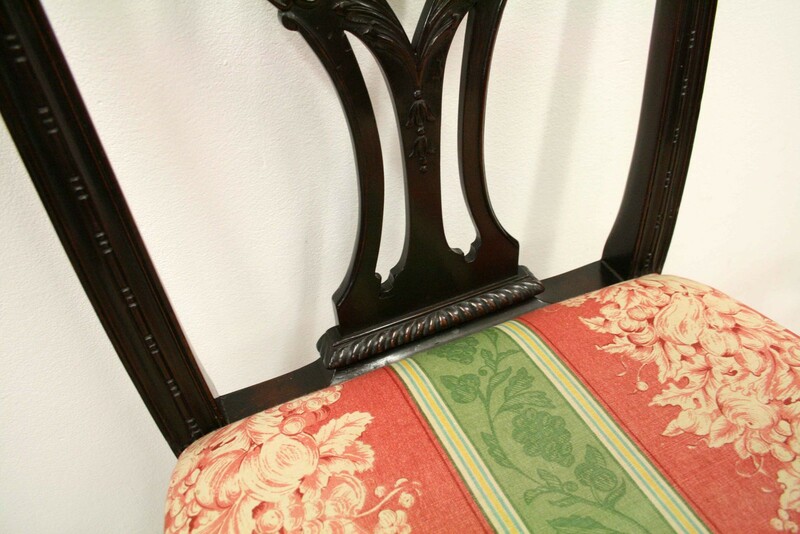 Circa 1900, set of 8 Chippendale style mahogany dining chairs, comprising six side chairs and a pair of armchairs, with acanthus carved crest rails above pierced interlaced splats and wide stuff over seats in floral striped upholstery, raised on acanthus carved cabriole legs ending in claw and ball feet. 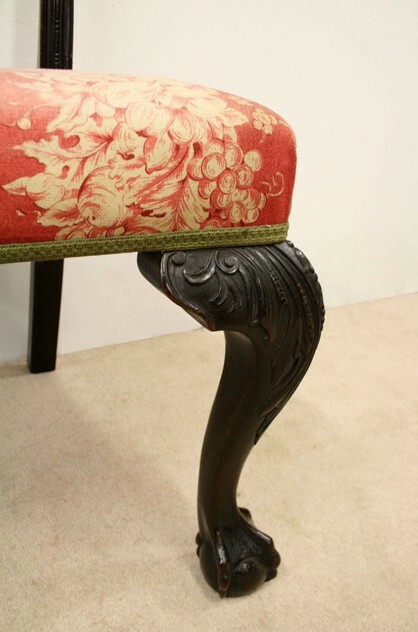 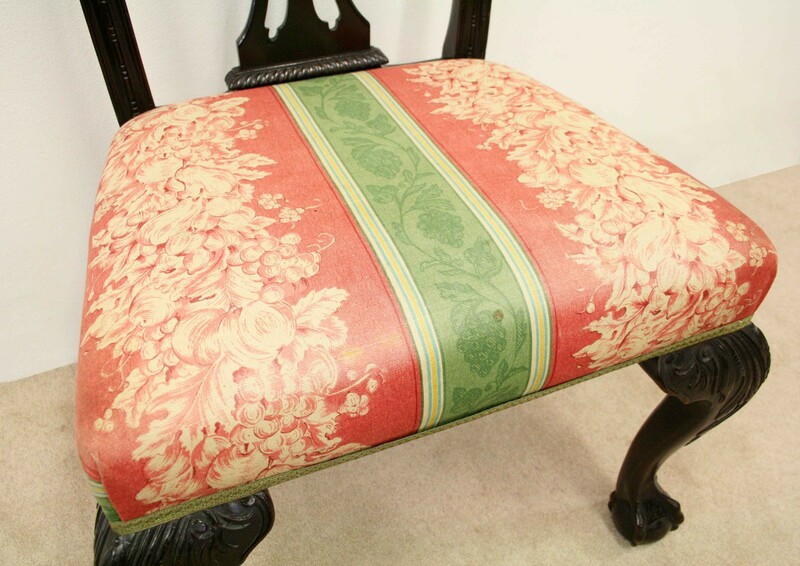 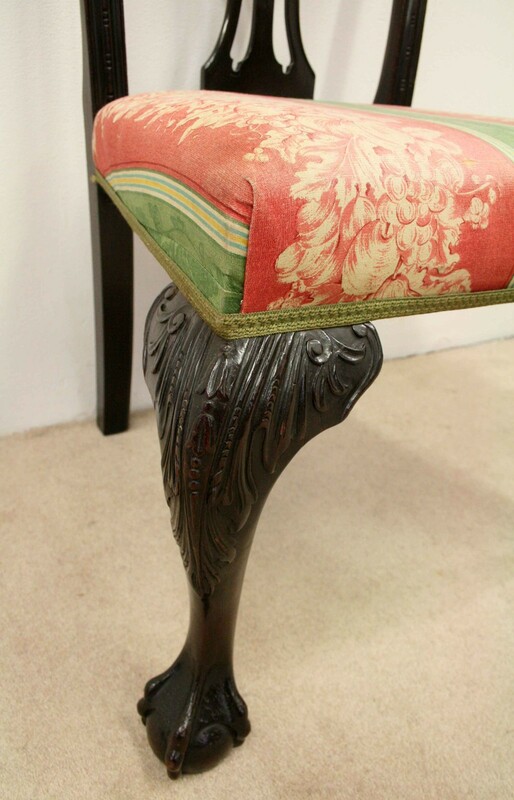 Size 97cm high x 60cm wide x 59cm deep. 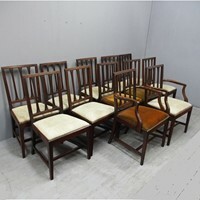 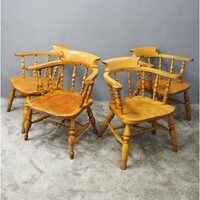 Armchairs size 100cm high x 64cm wide x 63cm deep.